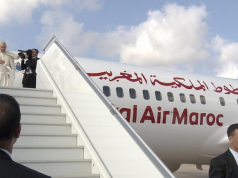 Casablanca — The Royal Air Maroc’s (RAM) 5th Boeing 787 aircraft was introduced today in an official statement. “The aircraft, registered as CN-RGU, is the 55th plane of the company,” says the RAM’s communiqué, adding that the plane “can accommodate 274 passengers in two classes: 256 in economy and 18 in business.” The aircraft is the tenth largest in the airline’s fleet. 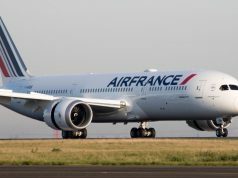 It must be noted that the RAM, as the first Mediterranean company to acquire the Boeing flagship, debuted its first Boeing 787 aircraft on January 3, 2015. 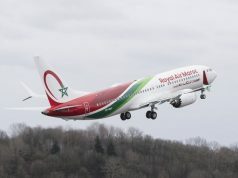 This latest addition is part of a 5-aircraft deal between the airline and Boeing. 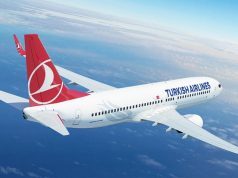 According to the same statement, the new dreamliner will serve destinations such as New York, Montreal, Doha, Sao Paulo, Rio de Janeiro, Washington and more. But despite the long journeys in store for the new aircraft, an environmentally-friendly disposition was also part of the deal.